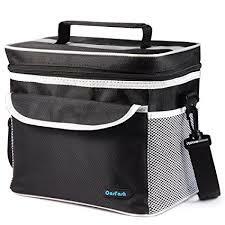 Congratulations, if you are purchasing a lunch box you are committed to taking your lunch. Good for you for preparing on Sundays, evenings or early mornings, grab and go, portioned healthy choices. Keeping your commitment to take healthy lunches includes picking the right lunch box. The next time you decide to treat yourself to a new lunch box (or maybe this is your first), consider the following tips. Keep up the good work, taking a healthy lunch instead of hitting the fast food drive through or vending machines is a great step towards good health.